Okay, you may have done your Powerboat Level 2 or might already be quite proficient at handling a powerboat on the sea so why would you even think about getting another qualification? As most people will probably know amazingly there is still no legal requirement for anyone to hold a formal qualification for them to drive a powerboat up to 24mts and go where they want. But say you were doing a coastal trip, e.g. just a relatively short passage say from Portsmouth to Cowes and it got a bit bumpy, or the weather took an unexpected turn, or the trip took longer than anticipated and the night started drawing in…. Would you feel confident that you could handle the situation and keep your family safe and calm? The RYA’s Intermediate Powerboat course, which also acts as a natural pathway to the Advanced Powerboat qualification, is the perfect springboard to give you that know-how and confidence out at sea. However, sadly, trial and error still seems to be the most common way for people to learn. In an attempt to overcome this some people may opt to have a more experienced, although not necessarily qualified, colleague onboard when they find their way for the first time, while others may class themselves to be ok, well until it goes wrong... We have all heard the anecdotes, often recounted as funny stories, of people having just got away with it, especially when an unexpected situation arose. Surely wouldn’t it be better to be able to go further afield without the need to having to take someone with you or follow someone who has been there before? As we know trial and error inevitably means mistakes and if those mistakes create a situation that has been a bit unpleasant or uncomfortable for yourself or family you won’t want to repeat it again in a hurry! With a bit more knowledge of planning and pilotage those coastal areas, normally left for the more experienced skipper, would become much more accessible; this is exactly what the RYA intermediate course was developed for, not only will it give you the skills to go further afield but more importantly confidence out on the water too! 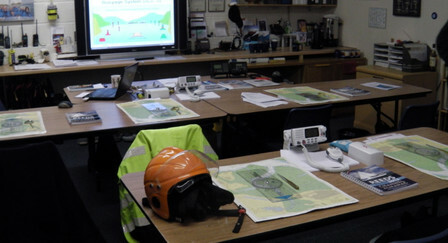 The RYA Intermediate Powerboat course takes two days to complete and covers the practical use of pilotage and passage planning by day on coastal waters, using both traditional and electronic navigational techniques. It also tackles more advanced boat handling, such as wave management and tidal effect. There is no pre-requisite training required to be able to attend this course, however Boat handling to the standard of Level 2 with a coastal endorsement is recommended, the RYA also recommend that candidates hold a first aid certificate and a VHF/SRC operator’s certificate.